PUC type O perforated disc mills have a fully enclosed motor. There are always operated in a vertical position. 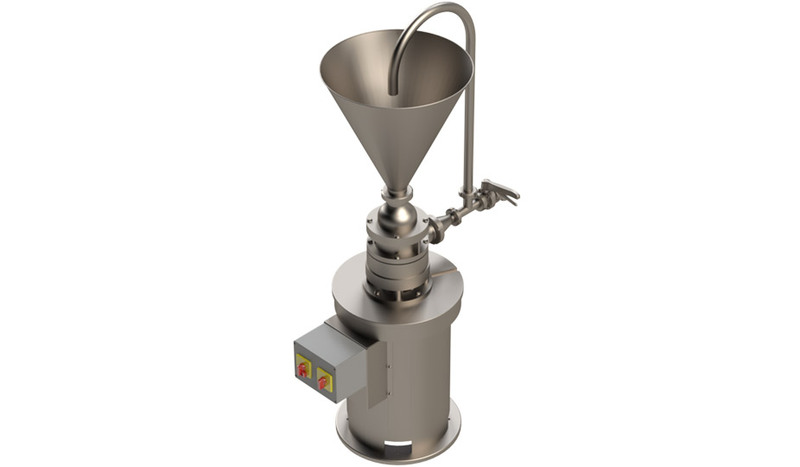 Materials can be fed to the mill either in-line via directly flanged piping or via various different types of hopper adapted to your process. Type O perforated disc mills can be supplied with various widely used types of connection (threaded nozzle, flange, tri-clamp, etc.). Type O perforated disc mills are available in standard sizes with capacities between 150 and 20,000 kg per hour depending on the material processed.